Drop off toys at any Ventura County Fire Station November 17 to December 24. The Children's Services Auxiliary is once again reaching out to help those in our community that have lost their homes or been displaced by the fires in Ventura County. If you have been impacted by the fires and would like an invitation to shop for toys and gifts at no charge, please call Ventura County Behavioral Health (VCBH) at (805) 981-8460. Children ages 0 -12 living in Ventura County are eligible. 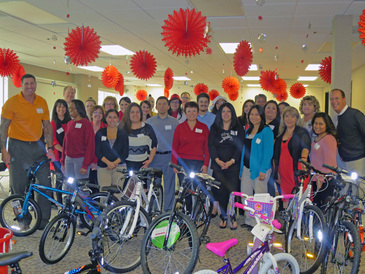 ​Every year we bring the holiday spirit to our Foster youth and to Ventura County residents in need of help. We take a location and transform it into a toy store were we invite parents to come and shop for free. Toys are all from private donors. CSA works with Spark of Love & the Fire departments in Ventura County, KVTA, local businesses, and County departments to collect gifts and bring them to our Toy Store. We have hundreds of volunteers who dedicate their time and help us distribute toys. We are very happy to extend this to those impacted by the fires. Donations can be taken to the following Walmart locations this Saturday from 10 a.m. to 4 p.m. Please stop by and meet some of our CSA Board Members and say thank you to our Fire Department volunteers and representatives. We are sorry but we are longer accepting requests to shop at the Toy Store, all invitations have been issued for 2018. 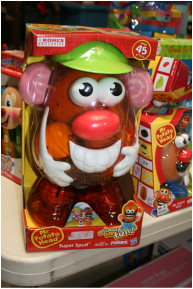 If you would like to help at the store, click here for Toy Store Volunteers. Volunteers setting up previous Toy Store. The Children's Services Auxiliary is once again looking for a Toy Store location. As most of you already know, we are a Non-Profit Organization 34 years in service to Ventura County Foster families. 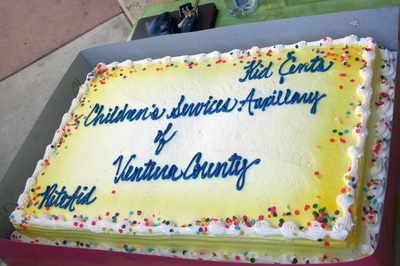 We work collaboratively with Ventura County Children and Family Services also known as Foster VC Kids. Our ask for help: A location at least 5500 square feet so that we can host this amazing event. If needed, we can cover the costs of electricity, water, trash, and security. We need the space from Nov 26th through January 8th. We have liability insurance, 501(c)3 verification, a calendar with dates of our event, and previous lease agreements to review if needed. Every year we work with a property management team to bring the holiday spirit to our Foster youth and to Ventura County residents in need of help. We take a location and transform it into a toy store were we invite parents to come and shop for free. Toys are all from private donors. CSA works with Spark of Love & the Fire departments in Ventura County, local businesses, and County departments to collect gifts and bring them to our Toy Store. We have hundreds of volunteers who dedicate their time and help us distribute toys. What’s in it for the property owner? A GREAT big Thank You from CSA Board of Directors, a tax write off for the expected monthly cost associated with donating the location to us, and participation at our annual recognition by the Ventura County Board of Supervisors where Supervisor Bennett recognizes our donors and volunteers. Our ideal location would be a property in Ventura, Oxnard, or Camarillo that has sufficient parking and access to public transportation. In the past we have used: County Buildings and the former locations of Good Will, Circuit City, and Macy's stores just to name a few. ​If you have a space we can use, please contact us ASAP! You can call us at (805) 217-6187 or send an email to leeann.csavc@gmail.com. CSA is partnering with Foster VC Kids, the Oxnard Salsa Festival, and Dancing With Our Community Stars to raise funds for our Ventura County Foster Children and Teens! Check out our Community Star Andres Fernandez on the Salsa Festival website. Andres Fernandez and dance instructor, Christina 'La Maestra' Maggio, pictured here with CSA Board Members and Foster VC Kids at the Dancing With Our Community Starts kick off last week. Need a suggestion on what to donate? Visit our Toys & Gift Suggestions page. Host a toy drive with your friends or co-workers. Donate books, gifts, or toys...we always need more books and gifts for teenagers. Make a tax deductible donation to our organization - this goes towards medical costs, camp, classes, sports, and scholarships for court dependent kids throughout the entire year. You can do this through our Donate page or contact us for more options. Sign up for SmileAmazon or RiteAid KidCents and select CSA as your charity for contributions. See the Donate page on our website for more information. 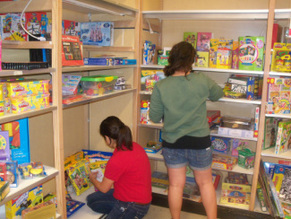 If you would like to volunteer to work a shift at our Toy Store, please contact: Leeann@csavc.org. CSA is currently accepting applications for our 2017 scholarships. We are happy to continue providing two scholarship programs through CSA and our friends at Fostering the Future; fill out and submit one application and you will be considered for both. For more information on how to apply, or if you would like to donate to one of the scholarships, please visit our ﻿Scholarship page﻿. CSA started this scholarship in 2013 to recognize founding member, Joan Gendreau, for her continuous support of Foster children. Joan's passion, integrity and compassion for making a difference in a child’s life is what sets her apart.​ CSA has special raffles to raise money through out the year which is combined with individual donations to the fund. ​This scholarship, was started in 2016 by Mark Acosta from PennyMac. A long-time supporter and volunteer with CSA. He wanted a way to honor his son and chose to do it through creating this scholarship fund in his name. ​Brendan Acosta was adopted through Ventura County Foster Care in 2006. While still young in age, he is very mature in his love for people and their education. Fostering the Future was created to show his gratitude and that of his family for the resources and effort expended in affording him a bright future. Santa is Overwhelmed by Your Support! 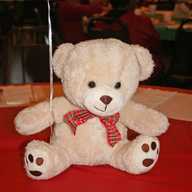 Teddy Bear center piece from this year's Foster Families Holiday Party. Thank you so much for supporting the Children's Services Auxiliary (CSA). We appreciate everyone's efforts - whether it is financial support, toy drives, or volunteer hours - you are all critical to our success! We have been overwhelmed by the generosity of time from our volunteers and supporters. I just found out last night that we are completely booked for all of our shifts and we do not need any additional sign ups to volunteer at the Toy Store. If you still would like to help, please consider a gift, book, or sock drive with your friends, family, or co-workers. Or, maybe a fund raiser for our Joan Gendreau Scholarship fund. The first official day for the Toy Store was December 14th and thanks to our new computerized processes, we can tell you that we supported 187 families and a total of 625 children. And that was just Day One! Thank you again on behalf of Children's Services Auxiliariy (CSA). If you have any questions or suggestions, please feel free to contact our Board - csaboard@csavc.org. If you haven't already, please sign up for our email list or Like us on Facebook. Remembering from years past when York Risk Services Group purchased and assembled 10 bikes and then dropped them off at the CSA Toy Store today. On behalf of the Children’s Services Auxiliary, Ventura County Children and Family Services, and the families that we serve, thank you for supporting all of our special events like the Holiday Toy Store. We are all looking forward to working with the wonderful volunteers involved with this project. We would like to invite you to participate in this year’s program by volunteering to be a part of the Holiday Toy Store staff. The store will be open between December 14th and December 23rd. The Holiday Toy Store provides unique opportunity for caregivers to select their own gifts for their children. All of the children who receive the gifts are either court-dependent or needy children who live in Ventura County. This program has provided gifts for thousands of children each year. In order to serve this many children, it has taken the participation of generous community volunteers like you. One of our goals is to schedule all the volunteers as early as possible. Then the shift leaders will be able to send you the Volunteer Procedures and a reminder of the dates and times you signed up to volunteer. You will know what to expect when you arrive. We also want to make sure all shifts have enough volunteers so the program will run smoothly. There are morning shifts, mid-day shifts and evening shifts available. Students requiring Community Service hours are encouraged to volunteer. A letter verifying volunteer hours can be provided. We need your participation to make this year’s program a big success. Please call one of the Shift Leaders listed below to volunteer. The recipients are pursuing a variety of goals including theology, teaching, psychology, sports, and medicine. Scholarships are for court dependent students that have graduated from high school or GED equivalent, who are applying to or attending at least one of the following: vocational/trade school, community college, 4 year college and/or applying to the military. The scholarship amounts ranged from $300 to $6,275. A total of $11,175 was awarded this year thanks to generous donations by CSA and Fostering the Future supporters. If you would like to donate and support next year's scholarships, visit our Scholarship page or contact us via email. Applicants for the scholarship filled out an application and wrote an essay on one of the following topics: current life circumstance, experience in foster care, need for financial assistance, barriers or obstacles they overcame, goals and plans for the future, community outreach and what it means to them. There are currently two scholarship programs available through CSA: the Joan Gendreau Scholarship and another through Fostering the Future. 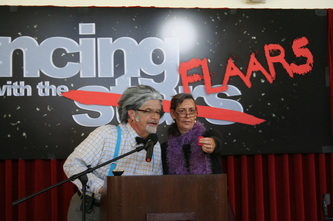 In 2013, CSA celebrated its 30 year anniversary. The CSA board members wanted to recognize founding member, Joan Gendreau, for her continuous support of Foster children by creating a scholarship program in her name. The Fostering the Future scholarship program is in its inaugural year and is funded by private parties and local businesses in honor of Brendan Acosta, a former Foster Youth that wants to help other kids pursue their educational goals. "Our scholarship recipients have overcome some of life's greatest challenges, courageously reached out, and committed to pursue a future of further education and athletics. We commemorated these actions at our first annual Scholarship Recipients Dinner, where we met and got to know each of our recipients and their mentors, and proudly presented them with their awards. We are delighted to announce that, along with the Children's Services Auxiliary, we have awarded a total of six scholarships in our inaugural year. We are excited to see where their passion and intelligence leads them, and hope to grow as a foundation to reach more and more children throughout Ventura County each year." CSA is currently accepting application for our 2016 scholarships. We are happy to announce there are now two scholarships programs available through CSA; fill out and submit one application and you will be considered for both. For more information on how to apply, or if you would like to donate, please visit our ﻿scholarship page﻿. ​This scholarship, new for 2016, was started by Mark Acosta from PennyMac. A long-time supporter and volunteer with CSA. He wanted a way to honor his son and chose to do it through creating this scholarship fund in his name. ​Brendan Acosta was adopted through Ventura County Foster Care in 2006. While still young in age, he is very mature in his love for people and their education. Fostering the Future was created to show his gratitude and that of his family for the resources and effort expended in affording him a bright future. Please join the BSA Eagle Scouts and Love Does Bags by donating new supplies to provide items for children going into emergency Foster care. To see the flyer with all of the details, please go to our Special Events page. Wow! It's time to get rolling on the holidays. We have been planning and preparing for months and this is going to be a fantastic year. If you need ideas on what to donate for the Toy Store this year, check out this page of gift ideas. Are you hosting a Toy Drive? Check out our flyer that can be sent out to your organization and posted by you donation collection area. For more information regarding volunteering at the Giving Trees or Toy Store, please contact Leeann Mesa at csatreasurer13@yahoo.com. Thank You to KVTA and All of the Awesome Listeners!! CSA Board Member, Mary Kay Roth, at the KVTA Topa Towers in Oxnard with (L-R) Rich Gualano, Tom Spence, and Stickboy. We would like to thank Tom Spence , Stick Boy, Rich Gualano and all of the KTVA listeners for their support. The Children's Services Auxiliary could not accomplish all of the wonderful things we do for the Foster Kids without the support of our community. 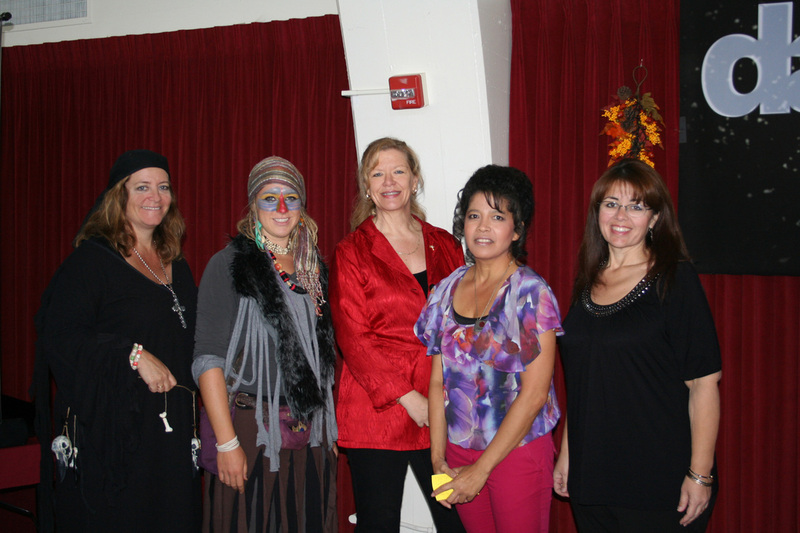 KVTA Morning Show listeners represent the absolute best people in Ventura County. Thank you! The Children's Services Auxiliary Board & members, along with our fantastic volunteers, finished packing up the Toy Store last week. What a great year we had! Once again, we want to thank every one of you that supported us with your generous gifts. There are so many of you that are so vital to our operations, we are overwhelmed at the support from our community. Here are a few photos and highlights from the season. If you have a photo you would like to share on our website or Facebook page, please send us an email at csa@csavc.org. We are looking forward to a wonderful 2015! CSA is now a Rite Aid KidCents Charity! On September 17th, the Rite Aid Foundation presented CSA with a $10,000 check to help our Foster Kids in Ventura County. On hand to accept the donation were CSA Board of Directors, Ventura City Council Member, Mike Tracy, and Children & Family Services Deputy Director, Judy Webber. CSA will use these funds to pay for medical expenses, help our graduation seniors, pay for extra-curricular activities & camp, and so much more! A huge thanks to Rite Aid and the district team that coordinated everything for the event!!! Pacific View Mall Giving Tree, Ventura - Look for us on the second floor between Target and the elevator. The Oaks Mall, Thousand Oaks - Look for us by the food court. Make a tax deductible donation to our organization - this goes towards medical costs, camp, classes, sports, and scholarships for court dependent kids throughout the entire year. You can do this through our web page or contact us for more options. The following items are the highlights of how CSA was able to help court dependent kids, transitioning youth, and needy community families in 2012. Over 4000 children in our community were served at the holiday toy store this year. This includes 525 court dependent children and 3535 needy children in the community. 28,290 toys were donated by our wonderful supporters in the community. 13 children were provided assistance with medical and dental requests. 76 children were able to participate in school sports and activities. 85 children were able to attend camp. 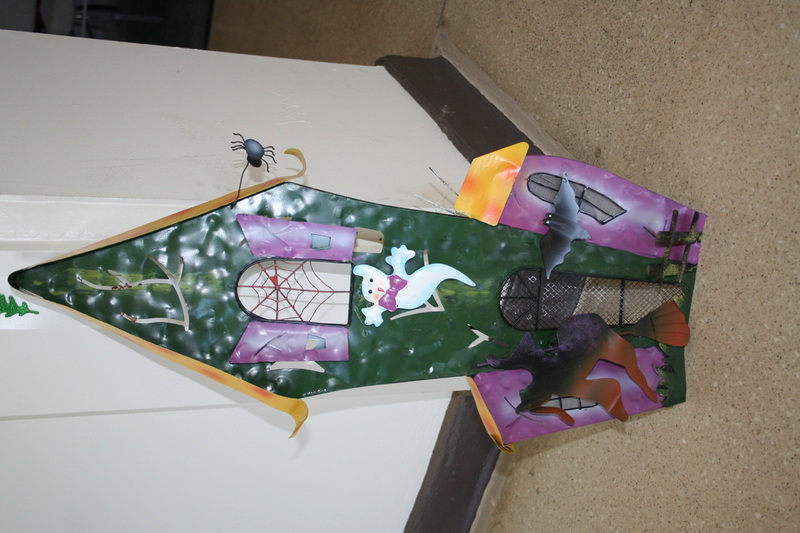 64 children participated in classes for art, dance, martial arts, singing, and more. 16 graduating high school seniors received graduation gifts and 5 were assisted with senior expenses. 109 youth transitioning from the Foster system received assistance with living expenses. I hope you are all looking forward to a happy and healthy holiday season! 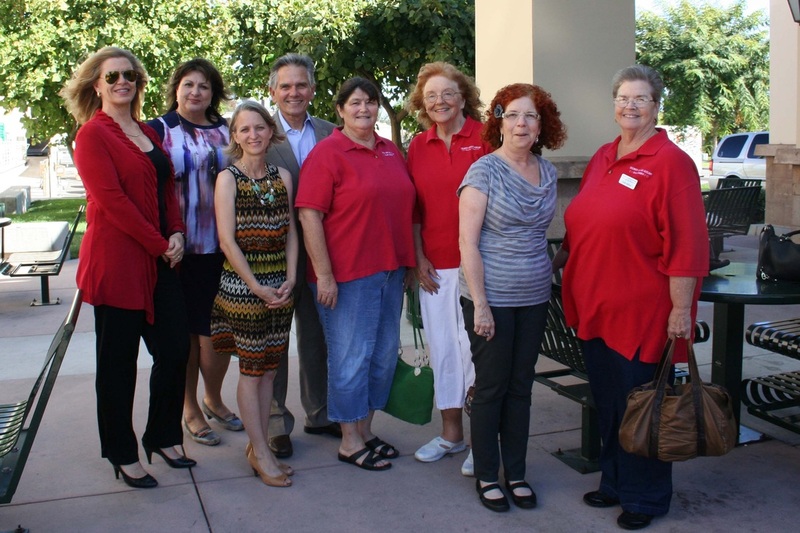 The Ventura County Children's Services Auxiliary (CSA) board of directors would like to take a moment and thank you all for your continued support. We know that we could not possibly accomplish everything we do without the support of each and every one of you! As most of you know, among many other activities throughout the year, we host a huge toy store with toys donated from the community. Foster parents and needy families in our community are invited to "shop" in the store for holiday gifts for the kids (at no cost to them). Last year the Toy Store served almost 5000 kids in Ventura County! We also have locations at the Pacific View Mall and The Oaks Mall where folks can drop off donated toys - we call these our Giving Trees. Volunteers are there to accept donations and answer questions about how they are used, etc. Please consider helping us collect and give toys to some very deserving and grateful members of our community. If you are interested in spreading some Christmas cheer, volunteer to work in the Toy Store or the Giving Trees. Once you are signed up, you will be sent additional information about the store location and volunteer guidelines. * Make a tax deductible donation to our organization - this goes towards medical costs, camp, classes, sports, and scholarships for court dependent kids throughout the entire year. You can do this through our web page or contact us for more options. * Sign up for SmileAmazon and select CSA as your charity for contributions. See the Donate page on our website for more information. Please feel free to contact us if you have any questions or need additional information. Thank you & hope to see you soon. Happy Holidays from the CSA Board & Auxiliary! The MOMS of Conejo Valley are generously donating 10% of the proceeds from their annual Holiday Boutique to the Children's Services Auxiliary in support of our Foster kids & families. This is a great opportunity to meet some wonderful people and kick off your holidays the right way! The event is on Saturday, November 1, 2014 and is hosted by The Hideout in Thousand Oaks. For event details, go to our Special Events page. For more information about the group, you can visit the Facebook page. Thanks for your support, MOMS... and all of your wonderful vendors! "The individuals, groups, and organizations on the attached list are honored and recognized today for their contributions to the Children's Services Auxiliary and Children and Family Services during the 2013 holiday season. Thanks to their donations and assistance, the Auxiliary received over 35,000 toys and gifts for distribution and over $7 ,000 in monetary donations from private citizens. The KVTA Children's Fund raised $31 ,200! An award from the AVNET Board of Directors Fund of $10,000 as well as grants from Subway and Walmart will enable the Auxiliary to continue to meet the unmet needs of court-dependent children throughout the coming year. Those individuals, groups and organizations that contributed to this program are to be commended for their support. The lives of many children in our community have been touched by their generosity, with approximately 3,637 children being serviced through the toy store. We wish to thank the entire community for its participation." The following sponsors and donors were on hand to receive certificates and take a photograph with the Board of Supervisors and CSA Board Members. For a complete list of our supporters and donors, please visit our Sponsors page. 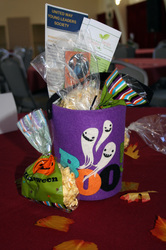 CSA would like to thank all of our volunteers, donors, and supporters. It is truly a community effort to support our court-dependent children and we could not do it without all of you. Thank you! In 2013 CSA celebrated its 30th year anniversary. As an Organization the board members wanted to recognize founding board member Joan Gendreau for her continuous support of Foster children. Her passion, integrity and compassion for making a difference in a child’s life is what sets her apart. In the Spring recipients will be selected. Applicants are reviewed by a screening committee to determine the number and amount of individual scholarships. No less than $250 will be given to any recipient. Scholarships are for Court Dependent graduating high school students or GED equivalent, who are applying to at least one of the following: Vocational/Trade School, Community College, 4 year College and/or applying to the Military. Click here for eligibility and application information. We hope you are all enjoying a happy and healthy holiday season! The Ventura County Children's Services Auxiliary (CSA) board of directors thanks you all for your continued support. We know that we could not possibly accomplish what we do without your support! If you would like to be added to our email list and receive information about our events and volunteer opportunities, you can submit your email address here. Now that Thanksgiving is over, won't you check your calendar and schedule some time to help us at either the Toy Store or the Giving Tree? We hope you are all looking forward to a happy and healthy holiday season! 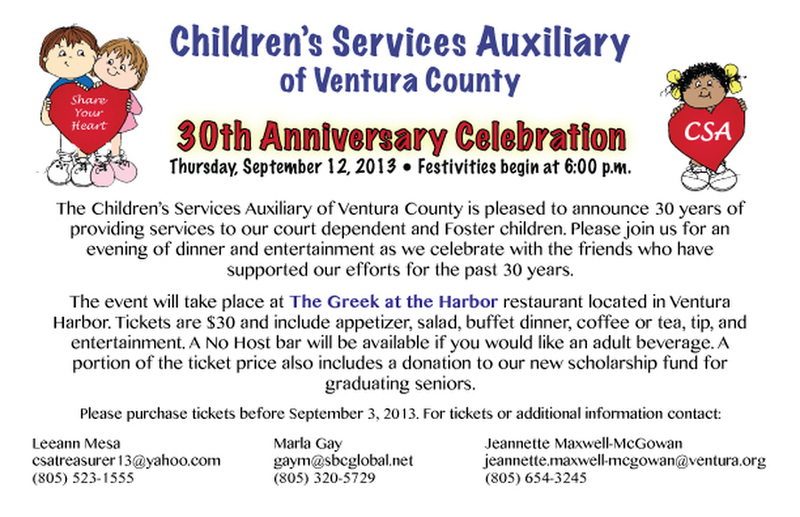 The Ventura County Children's Services Auxiliary (CSA) board of directors would like to take a moment and thank the community for your continued support. We know that we could not possibly accomplish everything we do without the support of each and every one of you! Among many other activities throughout the year, we host a huge toy store with toys donated from the community. Foster parents and needy families in our community are invited to "shop" in the store for holiday gifts for the kids (at no cost to them). 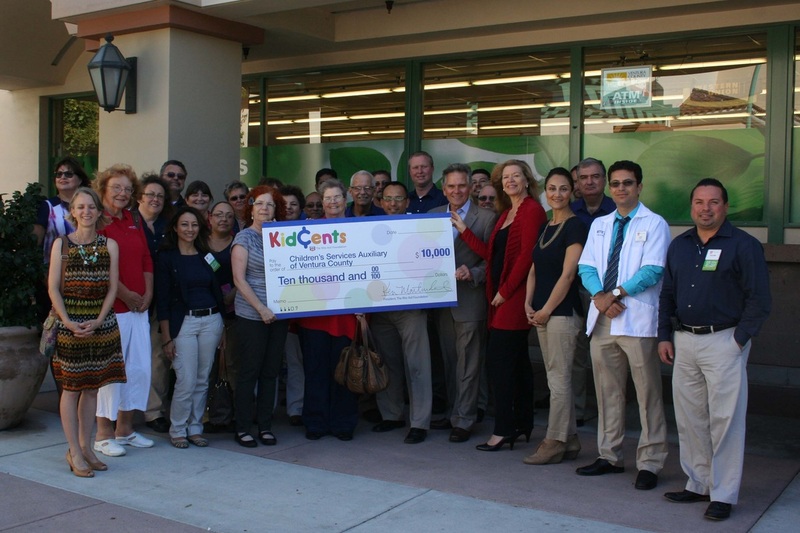 Last year the Toy Store served almost 5000 kids in Ventura County! We also have locations at the Pacific View Mall and The Oaks Mall where folks can drop off donated toys - we call these our Giving Trees. Volunteers are there to accept donations and answer questions about how they are used, etc. We will be setting up the Toy Store this weekend, November 23/24. We need folks that can lift boxes and get them from storage to the store location – Sunday afternoon will be taking stuff out of the boxes and setting up the store. Please consider coming and helping us give toys to some very deserving and grateful members of our community. If you are interested in spreading some Christmas cheer, volunteer to work in the Toy Store or the Giving Trees. Once you are signed up, you will be sent additional information about the store location and volunteer guidelines. We hope you had a wonderful Thanksgiving and are able to enjoy the holiday weekend with your favorite activities. 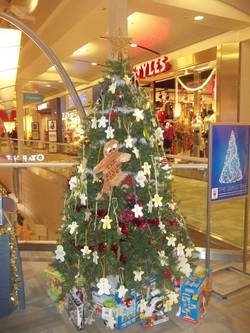 Now that December is here, please consider helping us at our Foster Kids Toy Store or the Giving Trees at the mall. Thank you to our wonderful supporters and volunteers. We couldn't do this without you. If you would like to be added to our direct email list, please fill out the contact form. * Host a toy drive with your friends or co-workers. Here is a list of Gift Suggestions. CSUCI invited us to talk about the Children's Services Auxiliary at an annual event to kick off their charitable giving campaign. Just so happens, it was on Halloween and the Masters of Ceremony were dance instructors Mr. and Mrs. Flaars. Fun! 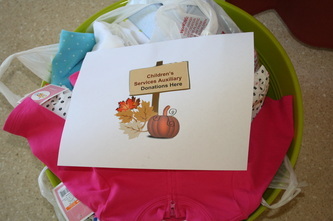 In addition to telling them about our group, they also collected donations for us at the door. CSA Board Member, Keri Collins and Jeannette Maxwell-McGowan, the CSA Liaison from Children & Family Services attended the event. Other speakers included Laura Romero from United Way and Angela Schultz from Community Roots Garden. Our gracious hostess from CSU Channel Islands was Janet Korsmo. Thank you, CSU Channel Islands! Alyssa Herman, a senior at Rio Mesa High School, attended the CSA Board Meeting last week and presented the Children’s’ Services Auxiliary with a $500 check. She recently received the Oxnard Soroptomist Violet Richardson Award that recognizes young women whose volunteer activities make the community a better place. Alyssa received a scholarship, plus a $500 donation to a charity of her choice. We are thrilled that she chose the CSA! Alyssa volunteers with CSA through the National Charity League "Mothers and Daughters Serving Communities Together" program. Thanks, Alyssa! Thank you Prudential California Realty! Prudential California Realty held a Backpack Challenge over the summer, where they encourage their Realtors and clients to collect donations of backpacks, school supplies, and personal items. In August 2013, they donated over 70 backpacks to CSA's Care Bags program. The event is usually a nationwide event, but as a locally owned and operated family company, they prefer to support local organizations throughout Ventura County. The agents really came together this year to get involved, and had one of the best responses yet. Donation boxes were placed in each of the five Ventura County office locations, and agents also went out into the community to local restaurants and events collecting donations. You can find more information about Prudential California realty on their website at www.prucalhomes.com. 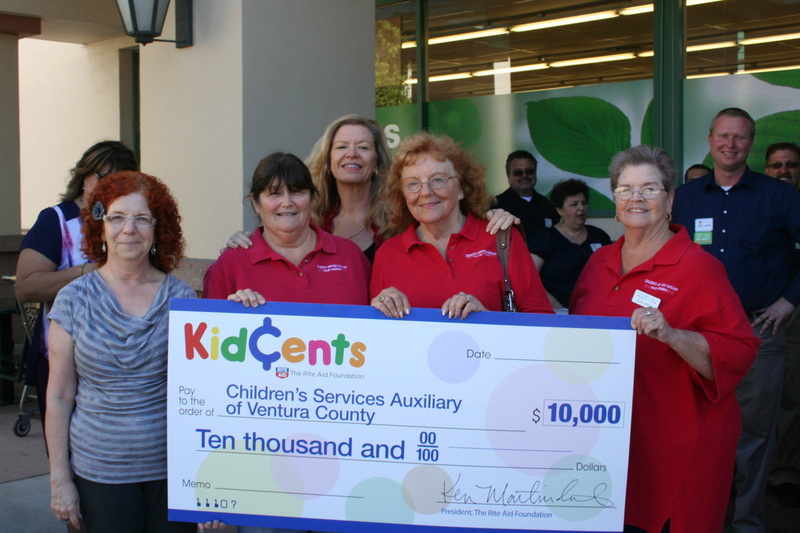 At our June 2013 Board Meeting, representatives from the Ventura County Mothers of Multiples presented CSA with a check for $1,000. Thanks for your support! For more information about VC MOM, visit their website at vcmom.org.